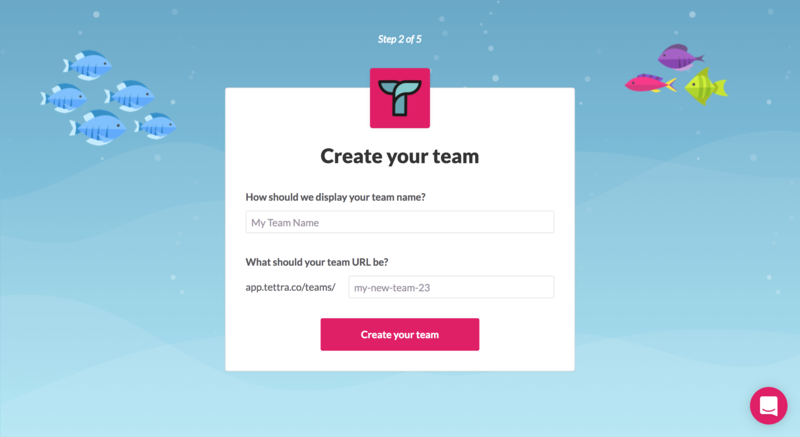 Tettra offers teams that use Slack a way to organize their docs and knowledge into a centralized company wiki that's easily accessible to all team members. 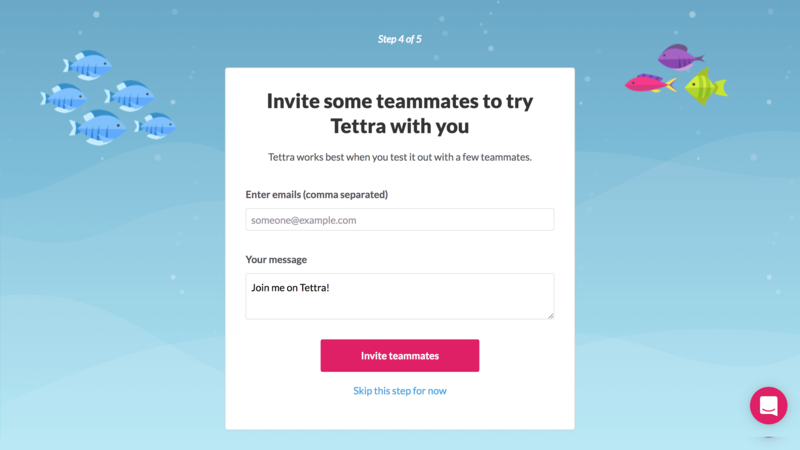 When onboarding the first user of each team that signs up for Tettra, the app pays special attention to getting teams set up properly in a seamless fashion. 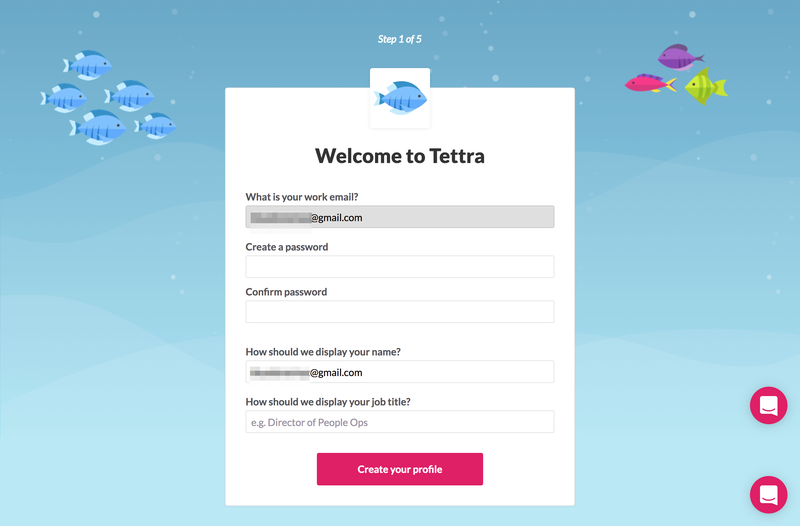 Rather than dropping new users into an empty dashboard where they can feel overwhelmed and discouraged, Tettra walks them through a clear and well-paced onboarding flow that gets them started right away. 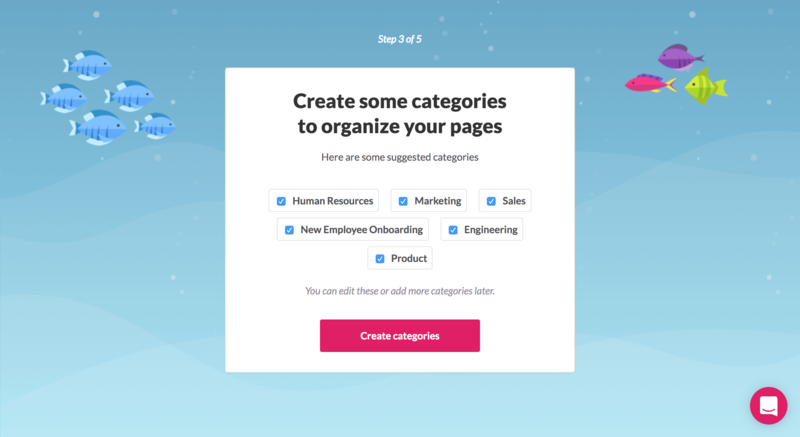 Each step has been designed to complete a task that will add value to the user's experience of the main dashboard—setting up and naming their team, creating categories, inviting team members, and starting their first page. 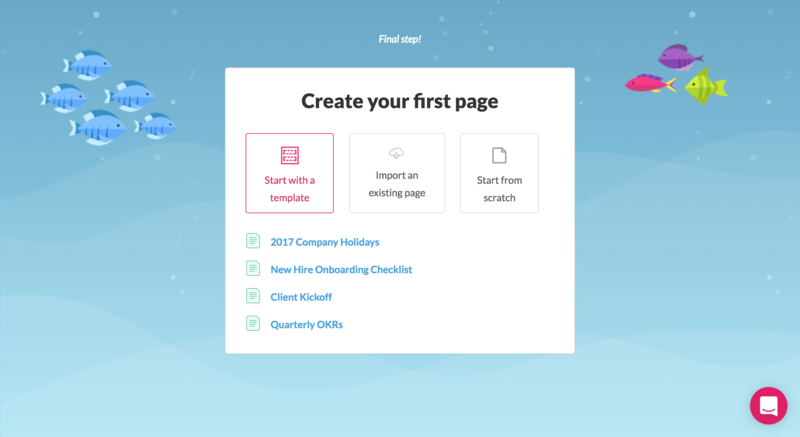 The onboarding flow is especially designed to help users get started with setting up a company knowledge base, from inviting team members to creating the first piece of documentation. Each step focuses on covering the essentials that will unlock the value of the product over the long run.